Bashar is reportedly alive and in good spirits. The Syrian regime denied reports that President Bashar Assad had been assassinated. The embassy in Moscow said President Assad was alive and in good spirits. The Syrian Embassy in Moscow on Monday dismissed rumors about the death of Syrian President Bashar Assad, something that is currently being discussed by bloggers on social networking sites. “The information is wrong,” an embassy spokesperson said, referring to allegations about Assad’s death tweeted by an unidentified Russian media outlet, Voice of Russia reported. The Syrian President was rumored to have been shot Saturday, according to Arab and Israeli media reports. The rumor spread like wildfire on social media websites, Facebook and Twitter. 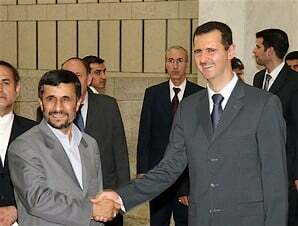 Later the online news updates said the Syrian leader’s shooting was false and that Assad was alive and in high spirits. The opposition’s Free Syrian Army also denied the rumors.